THERMAL IMAGING CAMERA, with a full Termite Inspection, at NO EXTRA COST! - Use of spray inside the rooms & bathrooms , and all around corners and skirting's. - Use of a Specialised Dust under Dishwasher ,Microwave and Fridge . - Spray the Back, Front & Both Sides of your house. - Use SPRAY under the house. - Spray All Around The Windows, Doors & Gutters. OUR SPECIALISED TREATMENTS ARE DESIGNED TO BE SAFE AROUND CHILDREN AND PETS. YOUR PEST MANAGEMENT PROFESSIONAL DOES TOO. Our family’s primary objective is to provide you and your family with total peace of mind. This requires a balance between the results you need and minimizing the potential risk to you and the environment. 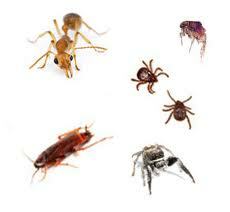 To achieve this objective, we use a scientific process call Integrated Pest Management. Our IPM program consists of five key elements that work together to provide you with the best available pest management while reducing the impact on your family and the environment. Eco-Logical Pest Control care for the environment, are concerned about exposing your children and pets to chemicals, and is the perfect choice for those who may be chemically sensitive. Environmental and health protection is our main focus when eliminating pests. Our carefully selected range of products, along with our application methods, are designed to cause no adverse health affects particularly in sensitive situations when dealing with children, pets and allergies. ​All our work is guaranteed, all technicians are fully accredited and we carry professional indemnity and public liability insurance. On the exterior, we service the landscape and mulch areas; ceilings of porches; eaves and overhangs; thresholds of exterior doors; around garage door openings; beneath decks; any outside utility buildings; around the windows and window sills; splash blocks; water meter; weep holes of brick and behind window shutters and Window edges throughout the home are serviced to prevent exterior invasion of pests. The crawlspace is serviced we use a machine to dust the roof void, not a duster and a specific dust formulation is used for general pests like crickets and spiders. Interior pest control service: Crack and crevice areas where pests harbour are treated with a synthetic pesticide. Areas beneath kitchen cabinets, utility rooms and baths are serviced to prevent or eradicate ants, roaches, silverfish, spiders, millipedes and centipedes. The Skirting Boards are treated. Attics are serviced for rodents.